With IFA on the horizon, the past week has seen many many many leaks in the world of tech and a whole bunch of rumours. Lucky for you, we are here to sort out the huge mess of reports and bring what matters most. Disclaimer: The following is merely a collection of rumours from around the tech industry and should therefore not be mistaken as facts. Sony leaks have quietly been popping up here and there and have not been able to garner nearly as much hype due to the wave of iPhone 6 and Note 4 rumours. Sony’s latest handset was spotted in numerous photos with very slight aesthetic modifications. The device has a reported 7.35mm thin body compared to the Z2’s 8.2mm. The display size has shrunk to an odd 5.15 inches whilst the side bezels also appear slightly thinner. Specifications wise, the rumoured Z3 sees only a minor bump in processing power from a 2.3 GHz processor to a 2.5 GHz one. All the other specifications are virtually identical to the Z2 which is quite peculiar. The similarity in specs has had many people believe that the Z3’s main selling point will be in the form of added sensors and unique software features. 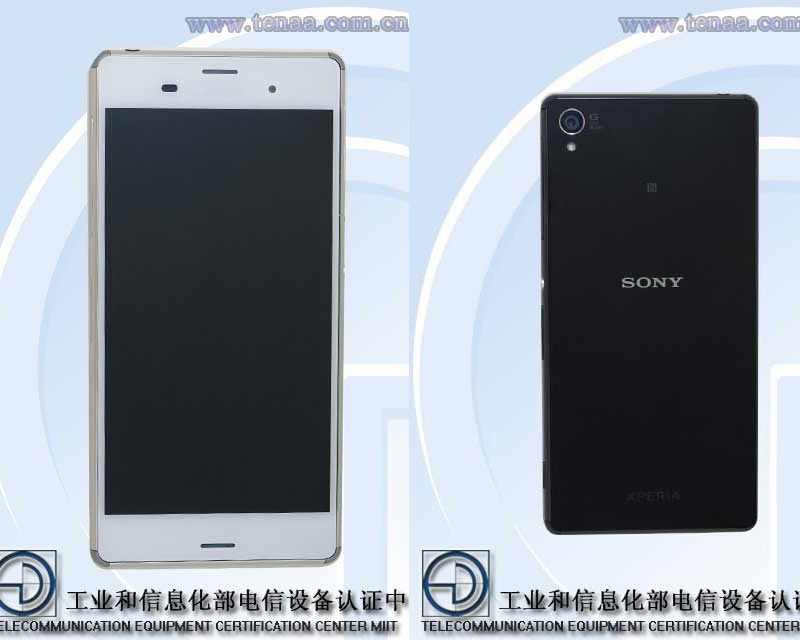 For now, reports say the Xperia Z3 will probably launch at IFA in Berlin early September alongside a rumoured Z3 compact handset featuring near identical specifications except for a 4.7 inch display and 2GB RAM. The latest batch of Motorola rumours is a confusing bunch, with the company apparently working on a plethora of devices. Early rumours claim the company has got dibs on the Next Nexus phone nicknamed Shamu. Newer rumours show what appears to be the follow up to the critically acclaimed Moto X.
Rumours of Samsung’s virtual reality headset began ever since the SOuth Korean company made a deal with Oculus VR. Now as IFA approaches, a leaked photo shows what appears to be the rumoured headgear. The device is codenamed “Project Moonlight” and is frankly quite similar to Google Cardboard. The user supposedly attaches his/her smartphone in front of the lens and closes the back cover in order to use the headset. The device is reported going to be revealed alongside the Note 4 on September 3rd. 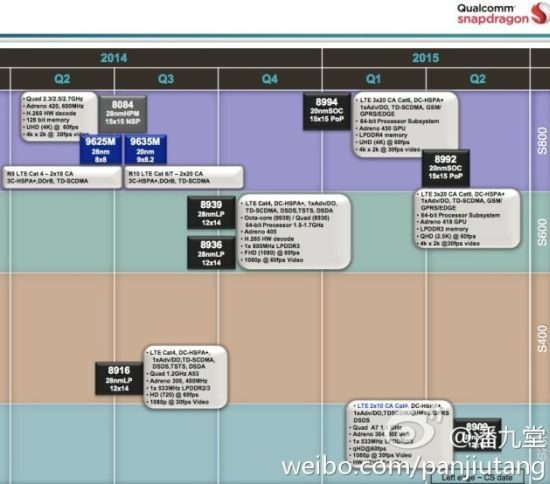 A recently leaked pair of photos allegedly show Qualcomm’s roadmap for its 64 bit SoCs (System on a Chip). According to the file which was leaked on Weibo by a respected Chinese analyst claims that the company’s first 64 bit chips will arrive by the fourth quarter of 2014. The more powerful Snapdragon 808 and 810 chips however are claimed to arrive by the third quarter of 2015. Qualcomm’s chips are the primary powerhouses behind most US versions of Android and Windows Phone devices and the upgrade to 64 bit computing will therefore probably be seen across all major OEMs’ devices soon. Even though the pictures say the chips will arrive by a particular quarter, it must be noted that it may well take some more time until we see them in any devices. The real question is how the Android and Windows Phone evolve to take advantage of the new chipsets. Who knows what type of softwares might run here but out of all those, the TGI manufacturing software which is beneficial for ERP solutions might work well! HTC hasn’t been in the tablet market for a very long time but reports say that is about to change soon. Google’s last Nexus tablet was manufactured by LG and received respectable attention. Rumours claim that the next Nexus tablet will move into the realm of metallic bodies with HTC in the form of a Nexus 8 tablet, allegedly codenamed Volantis or Flounder. The rumoured tablet will apparently come with some beefy internals, sporting a 64 bit Tegra K1 processor backed up by 4GB RAM! Other specifications include a 2K display, front facing speakers, 8 megapixel camera with optical image stabilization and Android L.